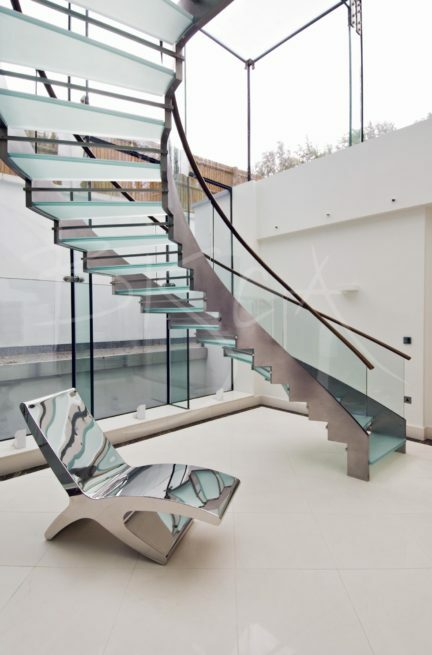 This glass helical stair won a coveted award for structural design. 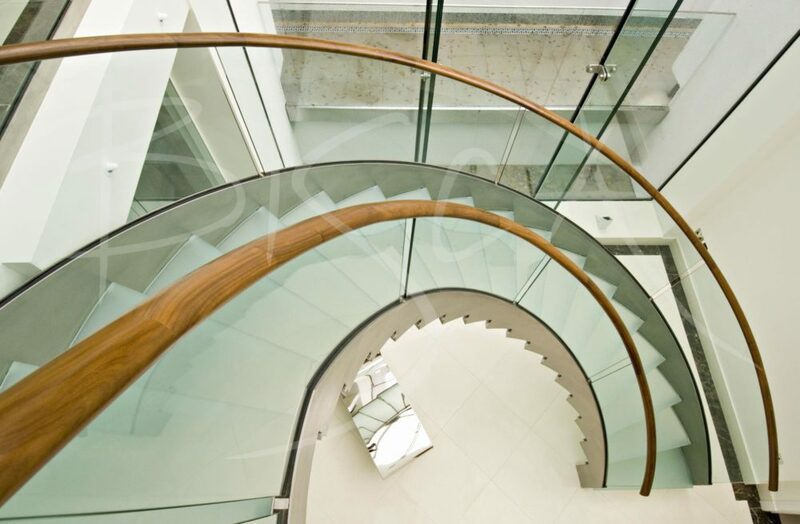 The sweeping helical is of sandblasted glass treads, glass balustrade and oak handrail. Satin polished stringers with a saw-tooth profile support treads and riser bars. A glass balustrade slots into the top of the stringers without visible fixings. Many glass staircases of this era look dated, however, this one continues to be popular. 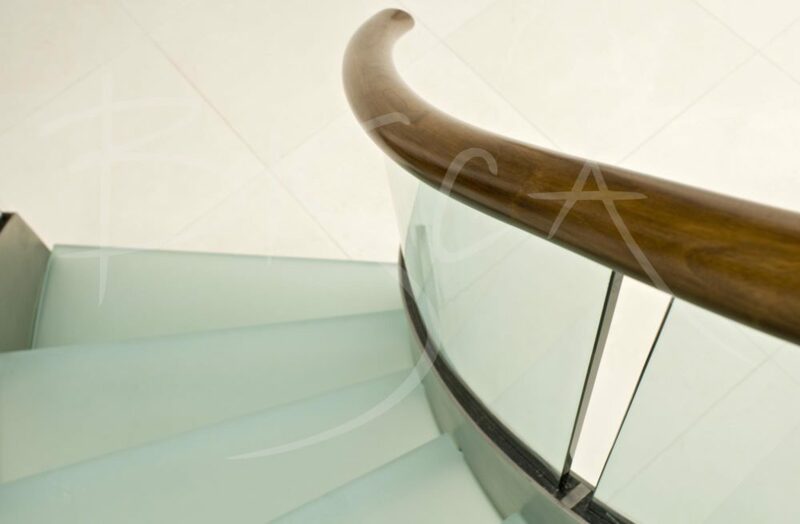 We design every commission in empathy with your property; a Bisca staircase or balustrade will never look dated, or worse still, out of place. 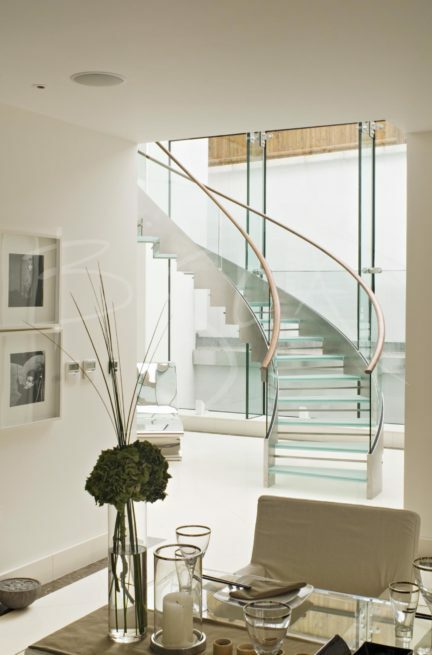 For a guide price for a glass helical stair design, or glass staircase please mention design 2146.